Is Massachusetts Heading For A Senate Special Election Upset? The 2010 United States Senate special election in Massachusetts was a special election held on January 19, 2010, in order to fill the United States Senate seat held by the Late Teddy Kennedy for the remainder of the term ending January 3, 2013. In a major shocker the seat was won by Republican candidate Scott Brown. In three weeks there will be a special election in Massachusetts to fill the seat of John Kerry who was appointed to Secretary of State. 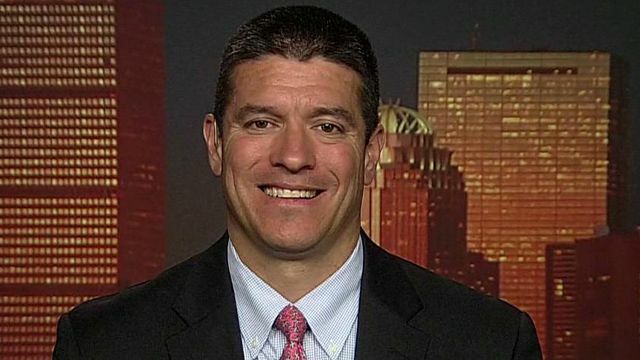 The way things look there may be another Republican shocker coming as GOP Candidate former Navy Seal Gabriel Gomez is in a statistical tie with the “favorite” long time Democratic Congressman Ed Markey. “If the special election were held today, which one of the following best describes how you are likely to vote in the special election for United States Senate between (ROTATE) Gabriel Gomez, the Republican candidate and Ed Markey, the Democratic candidate? Ed Markey’s high unfavorable ratings are clearly impacting his ballot rating. With a one-to-one favorable to unfavorable rating, Ed Markey will have a difficult time increasing his ballot share. What’s more, the intensity lies with Markey’s unfavorable rating, as the plurality of voters, 29%, is “very unfavorable” to Markey. Conversely, nearly half of the voters, 48%, are favorable to Gabriel Gomez, and he receives a relatively low unfavorable rating of 27%. With a high favorable rating and low unfavorable rating, Gabriel Gomez is giving the voters a strong alternative to Ed Markey. candidacy, or attacking Gabriel Gomez. And President Obama, Joe Biden and Al Gore have all scheduled campaign trips to help the flailing Markey Campaign. Keep an eye on this one, Gabriel Gomez seems like a good man with a strong chance of winning.